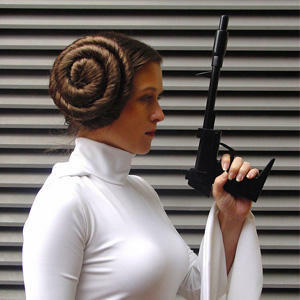 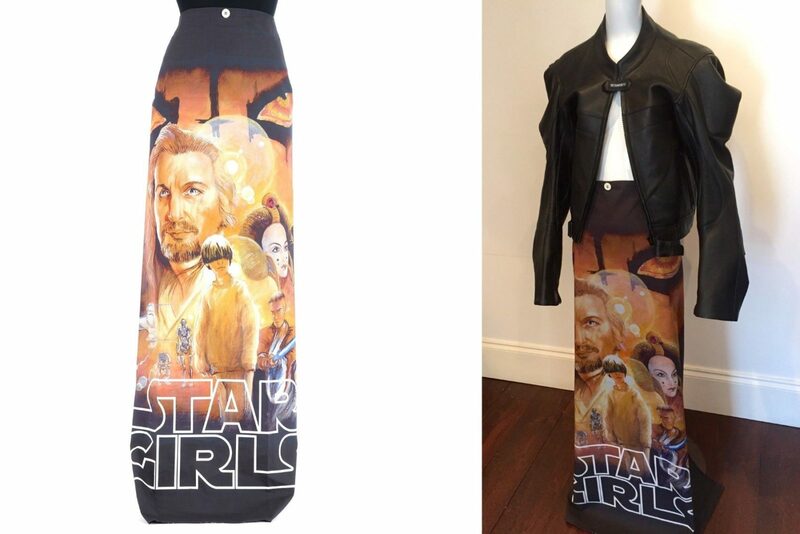 The Star Wars Episode 1 inspired ‘Star Girls’ maxi skirt by Vetements is available on eBay. 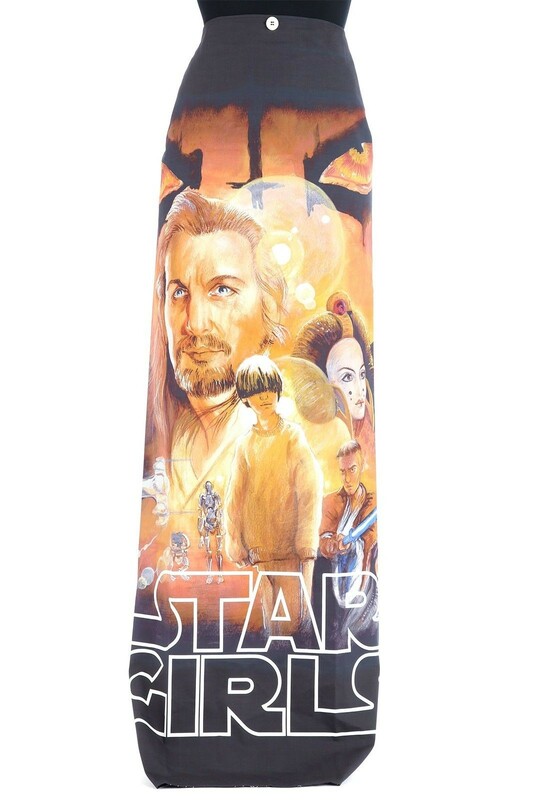 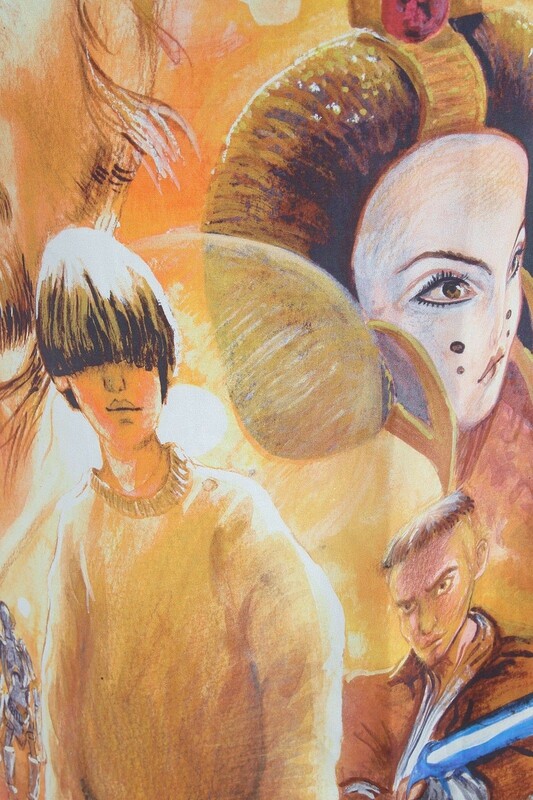 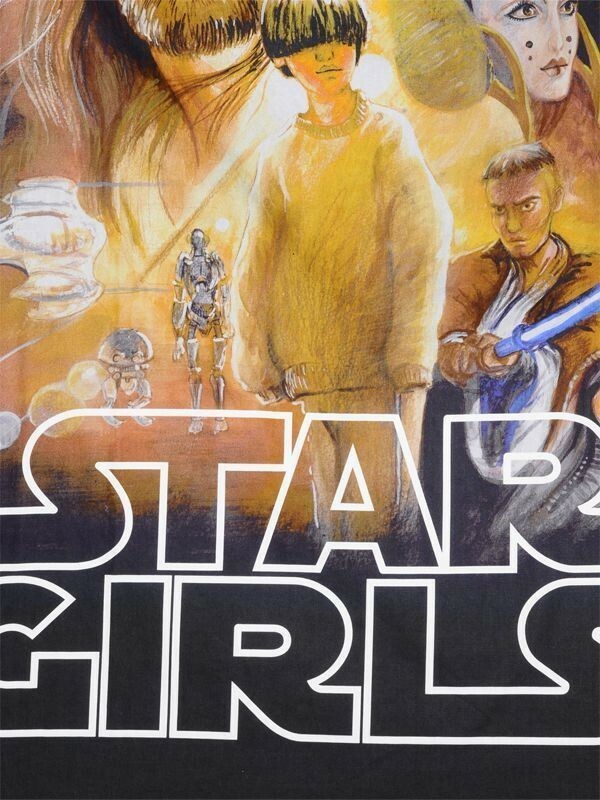 Part of Vetements Spring 2016 ready to wear runway collection, the long maxi-length skirt features artwork similar to/referencing the Episode 1 poster art by Drew Struzan – with the text ‘Star Girls’ instead of Star Wars. 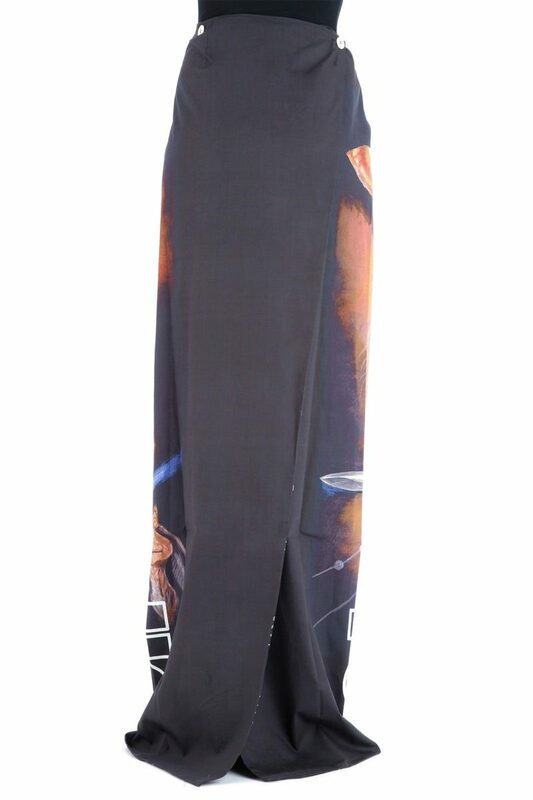 There are currently 2 available on eBay – one size S priced at US$999.00, and one size XS priced at US$1,695.00. 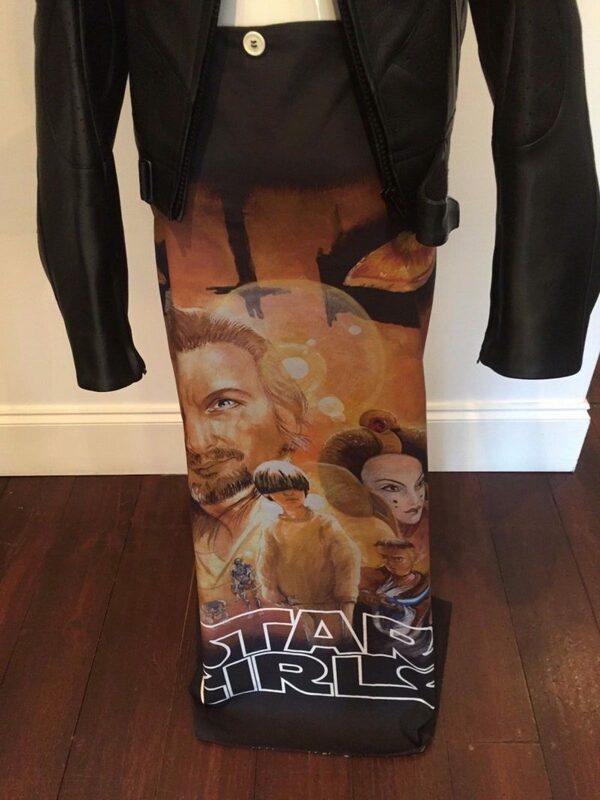 While this designer price tag is out of my budget, I still love seeing Star Wars inspiration on the runway – with a prequel theme too! 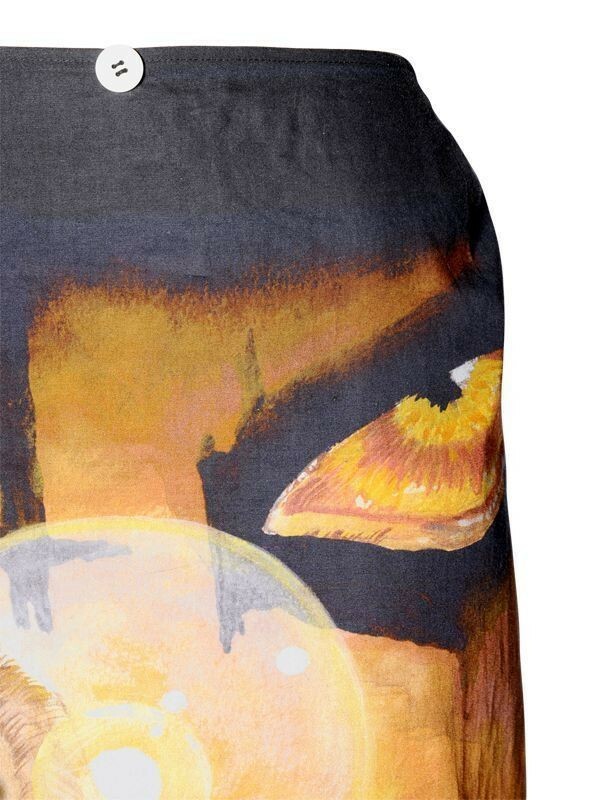 Singer Rihana was spotted wearing this skirt in February – See the full Vetements Spring 2016 runway collection at Vogue.com. 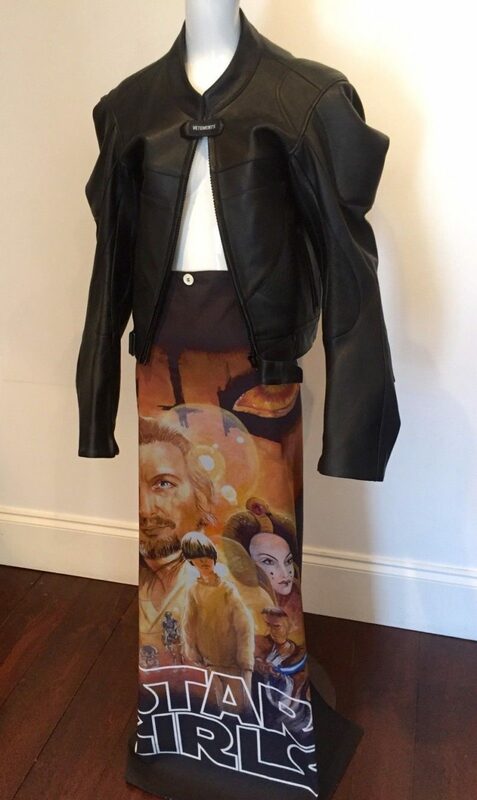 Photos sourced from and belong to eBay sellers eboutique.australia and eshopper.ae, respectively.